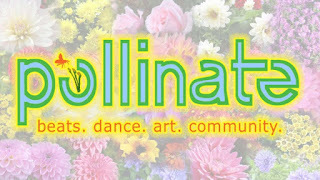 WHAT: Pollinate Dance: Bring the Spring!!! Don't miss this incredible night that'll nourish your senses and move your body and soul with tasteful sounds of World-Bass and Soulful-Electronic. DJ Luminus (Marek) and DJ Hip Sockit (Brando) . 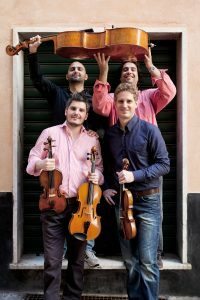 Treat yourself to some good community vibe in a vibrant atmosphere to the tune of uplifting melodies and rhythms. 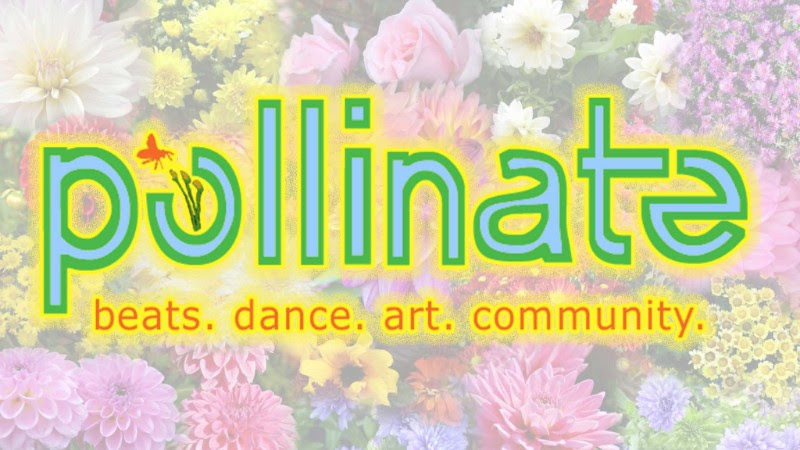 Entice your tastebuds with the treats from Pollinate resident chef Stillwater! See you on the dance floor! The City of Northampton's vendor for the regional ValleyBike Share system is hiring a Social and Field Marketing Coordinator. Reporting to the Marketing Director, the Marketing Coordinator will organize and implement campaigns which will include: branding, print materials, social media, events and activities, with the main goal of promoting the bike-sharing systems managed by Bewegen, as well as, maintaining high quality relationships with the users, partners and stakeholders of each one of those programs. The Coordinator will work with all ValleyBike municipalities as well as other Bewegen US markets to ensure the proper implementation of these strategies. Some people might call May Erlewine “Michigan’s Songbird”, but her songs have traveled far beyond her home state. One of the most prolific and passionate songwriters of her generation, May Erlewine’s music has touched the hearts of people all over the world. Her words have held solace for weary hearts, offered a light in the darkness and held space for the pain and joy of being alive in these times. 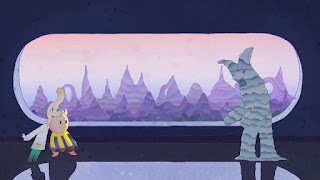 May pulls from a wide variety of sounds and influences to create her unique musical landscape. 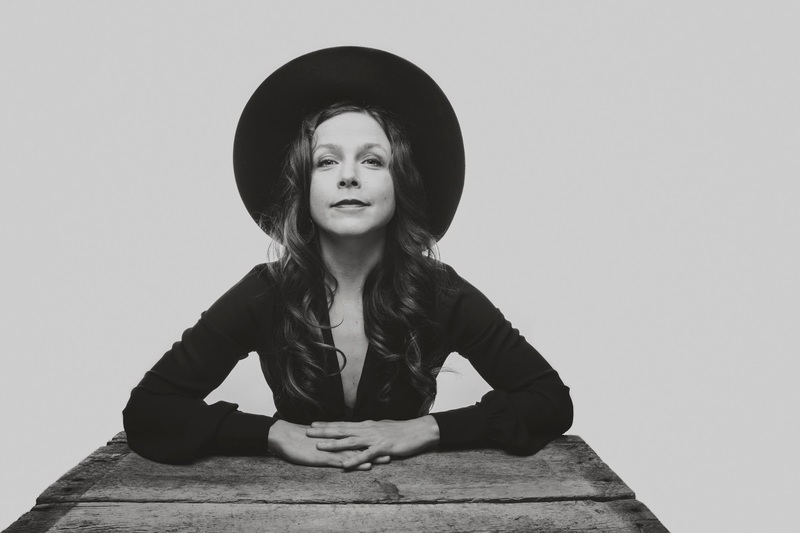 You’ll hear traditional folk roots, old time country swing, soul and rock and roll, but mostly she’s inspired by the hearts of the people and the one in her chest. 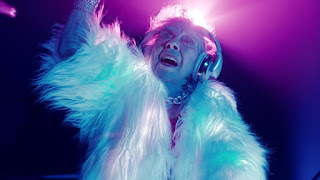 She creates her music to share everyday stories and evoke feeling in her listeners. In a rare Massachusetts performance, May will be joined by local musician Anand Nayak at CLICK Workspace on March 22nd at 7pm. 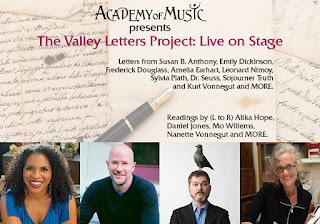 Tickets are available in advance through Eventbrite, and at the door the night of the performance. More information can be found at www.clickworkspace.org. Each February for the past 26 years the Valley’s best local talent have gathered together at our communities’ most beloved theater for their favorite variety showcase- The Really Big Show. Over the course of its lifetime, the Really Big Show has taken on the form of famous night-time TV programs such as the Ed Sullivan Show and the Gong Show. 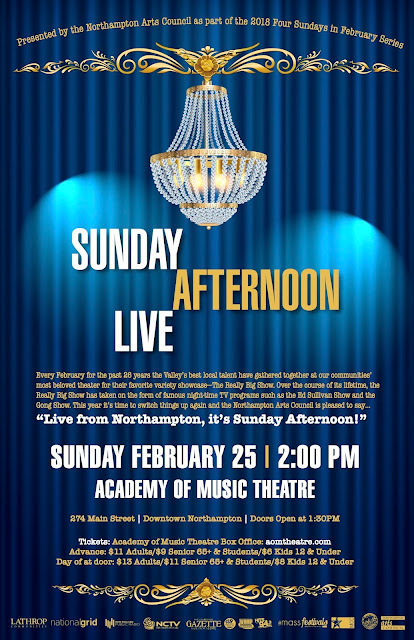 This year it’s time to switch things up again and the Northampton Arts Council is pleased to say “Live from Northampton, it’s Sunday Afternoon!” Part of the Four Sundays in February winter arts series presented by the Northampton Arts Council. ACADEMY OF MUSIC THEATRE ANNOUNCES PERFORMANCE OF ANNIE, JR. WHEN: Thursday, March 8, 2018 at 6:30pm and Friday, March 9, 2018 at 6:30pm. 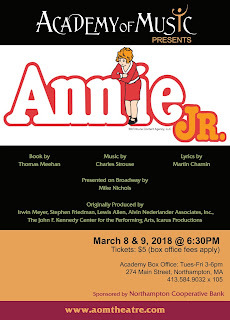 The Academy of Music Theatre and Academy Youth Productions present Annie, Jr. on March 8 & 9, 2018, directed by Academy of Music Theatre Education Director Martha Potyrala and with Musical Direction by Jessica Dimmock. 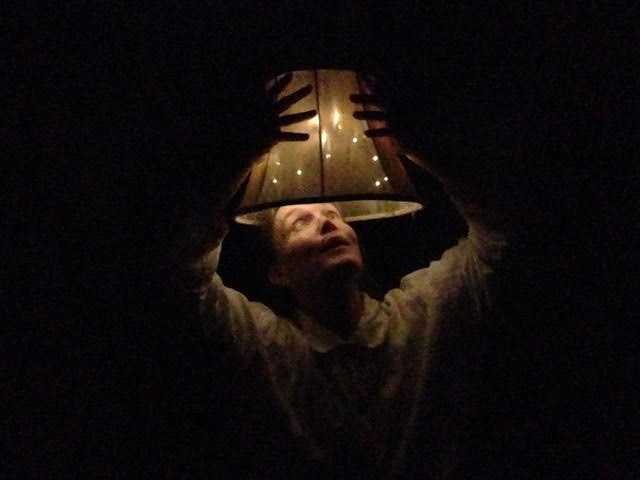 This is the eighth annual Academy Youth Productions show. 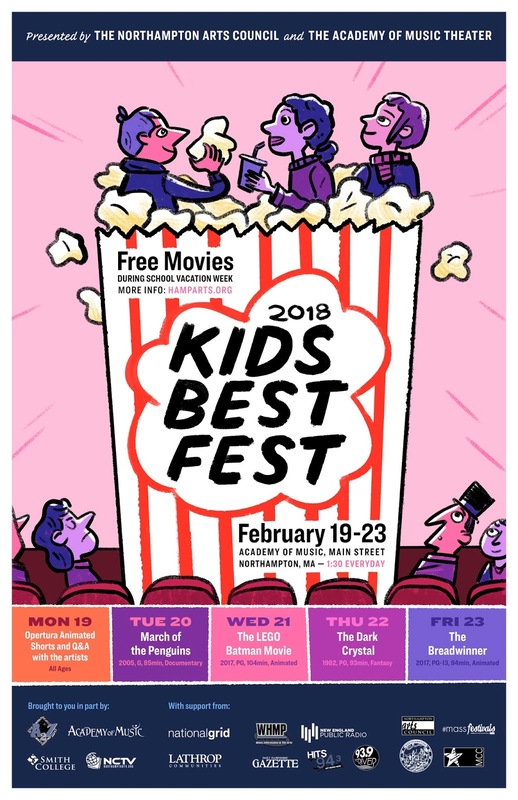 Past shows include: Into the Woods Jr., Fame Jr., Willie Wonka Jr., Camp Rock, The Phantom Tollbooth Jr., The Music Man Jr., and last year’s Singin’ in the Rain, Jr. Academy Youth Productions are performed by area youth ages 9-15, with full staging, professional lighting and sound, costumes and sets. 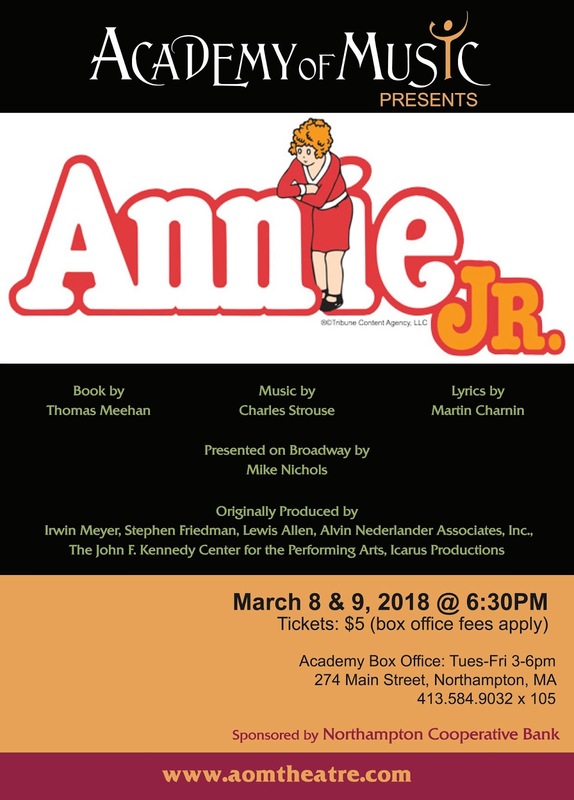 Annie, Jr. will run Thursday, March 8, 2018 at 6:30pm and Friday, March 9, 2018 at 6:30pm. Tickets are $5 (plus applicable fees). Come drink some tasty Thursday sounds at 13 Queen and recognize the awesome, kickflip face-slaughter power of the human voice--there'll be so much of that! 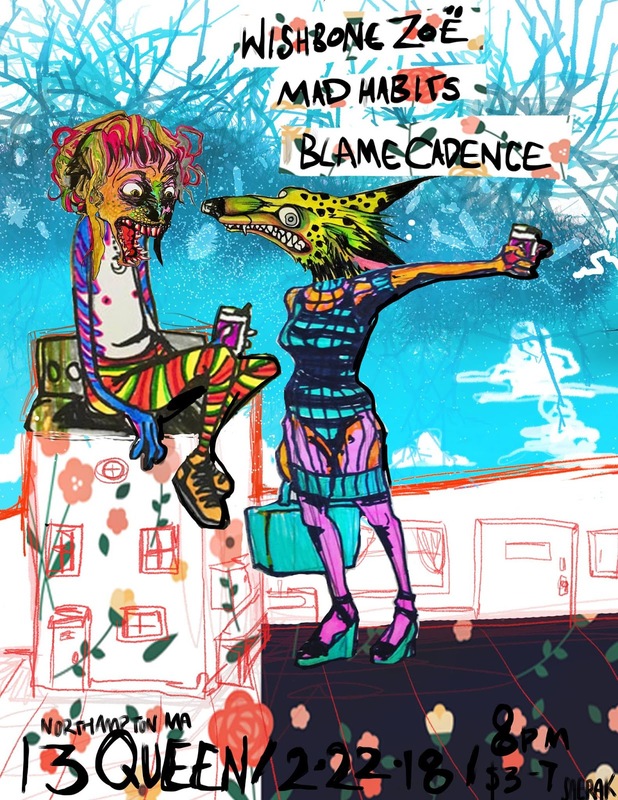 MAD HABITS - freaky experimental jazz/folk: a three piece tempest of the water element. Emotions you forgot you had or are too afraid to confront. 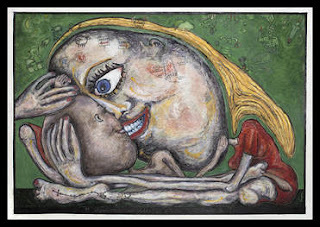 Often choreographing works for such diverse performers as David Byrne and Mikhail Baryshnikov and distinctive companies such as the Elixir Ensemble of senior dancers in London’s Sattler’s Wells and Soho Rep Theater of New York’s downtown art scene, Big Dance designs works for stages ranging from traditional theaters to intimate experimental spaces, including art galleries and museums. WHERE: A.P.E 126 Main St Northampton, MA. 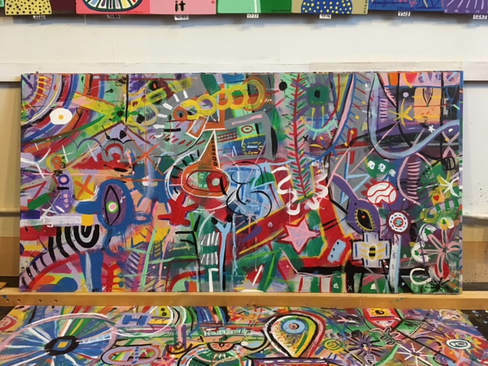 "On The Horizon" Two evenings of work by 6 local artists at 33 Hawley St.
Two evenings of work by 6 local creative artists will be shown in an informal setting at The Northampton Community Arts Trust building at 33 Hawley St. in Northampton presented through the support of A.P.E. WHERE: APE GALLERY, 126 Main Street. Northampton Senior Services is joining forces with Forbes Library in planning a large community sing on the lawn of Forbes Library for the fall of 2018. 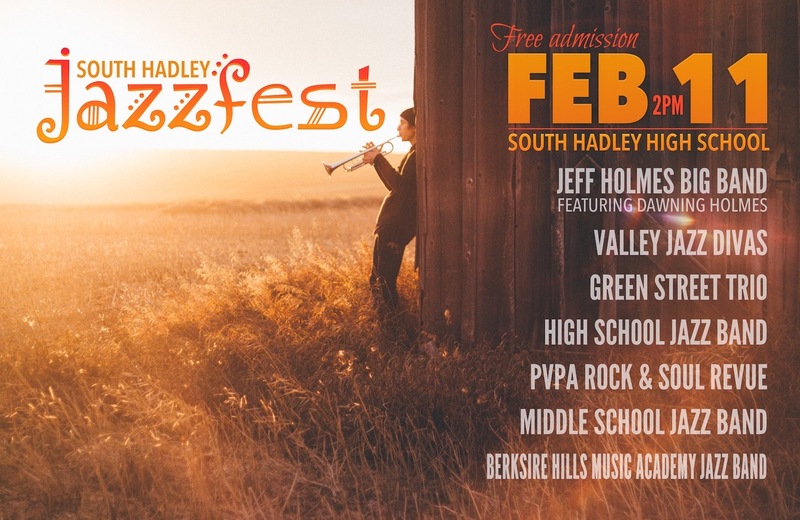 We're hoping that you can attend the March 9 Group Sing led by local guitarist F. Alex Johnson to learn more about this project and how you can be a part of this celebration through song. 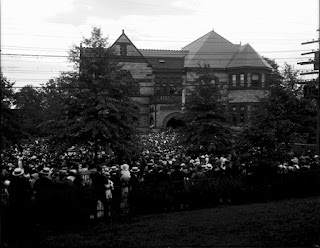 During 1918 as World War I was ending, the trustees of Forbes Library granted use of the library grounds for several large gatherings of Northampton citizens for “Community Sings,” primarily of patriotic songs. Forbes Library plans to commemorate the 100th anniversary of the end of “the war to end all wars” by gathering again on the library lawn to raise spirits, support peaceful resolutions of conflicts, and confirm our sense of community by singing together. The large group sing will combine voices of individuals and singing groups in the area. Everyone will learn the same 3 songs and come together to sing in unison on the lawn, much in the same way the Library selects a book each year for all the entire community to read and then to gather and discuss. Our Community Sing will not be a performance, but a participatory, community event. WHAT: New Works by Luke Cavagnac, Jil Crary-Ross, Maclyn Milsark, and Kevin Pomerleau. Kevin Pomerleau’s work focuses on telling stories through contemporary textiles that have inhabited spaces during relevant periods in his life. Ranging from topics such as isolation, relationships, and the plights of the queer community Pomerleau’s work hopes to convey a narrative that entices the viewer to look into his world without ever actually allowing them to enter. 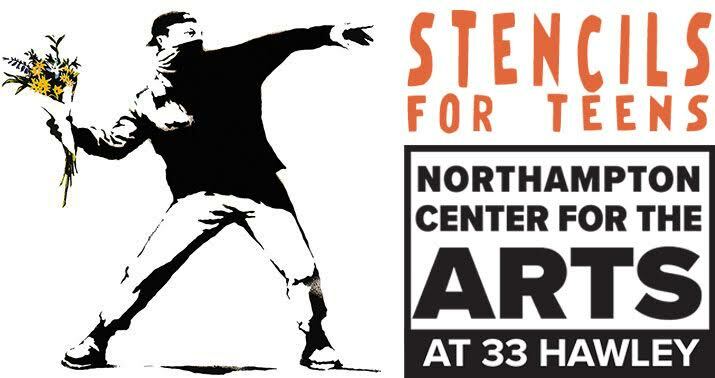 WHERE: Academy of Music Theatre, 274 Main Street Northampton, MA. 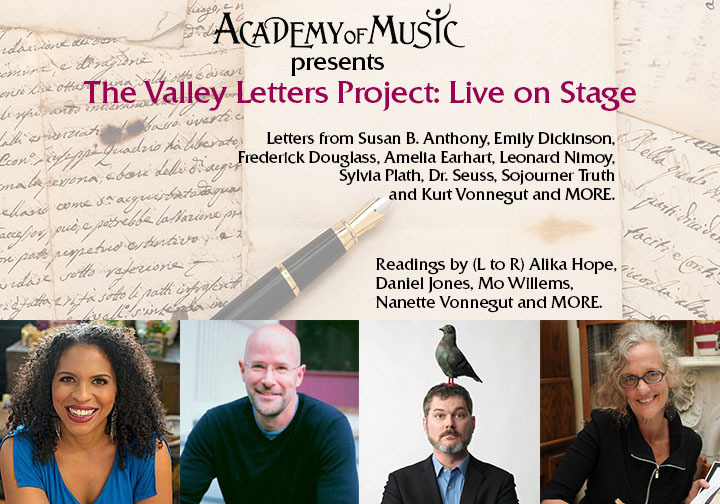 a new series celebrating the art of letter writing and its connection to our local history. currently impacting the Western Massachusetts and the Pioneer Valley landscape. Vonnegut, Mo Willems and MORE! A silent auction will take place in the Salon Room of the Academy of Music during the event. The application deadline for Commonwealth Places is coming up on Thursday, March 1st. Learn how you can take advantage of MassDevelopment's Commonwealth Places matching grant program today! You can start your application today on the application page. Please feel free to email or call with any questions about the grant program, your project idea, or crowdfunding in general. Join us at WeWork Boston (Portland Street location near North Station) to hear how Massachusetts communities are working with their neighbors to turn underused spaces in their towns into community assets for residents and visitors to enjoy. After a short presentation, there will be time for questions and an opportunity to connect with others in attendance. Congratulations to all the towns and community leaders who recently completed crowdfunding projects last fall and this winter! For more information please contact info@youngatheartchorus.com or call 413-230-7909.